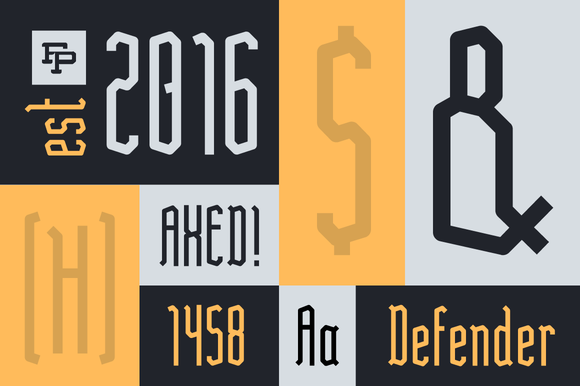 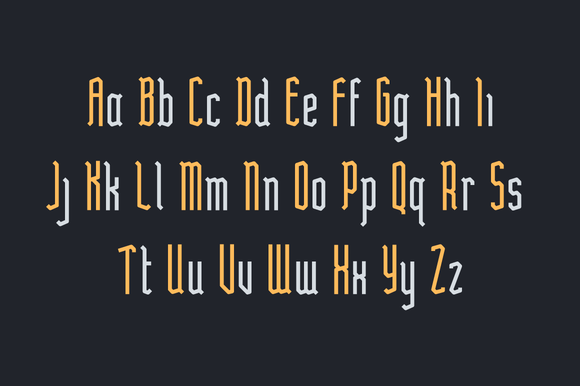 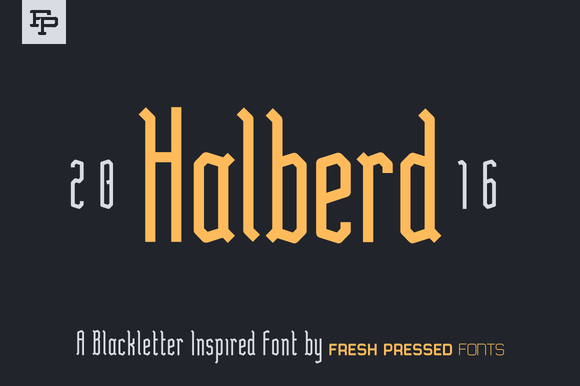 Halbert is a blackletter inspired typeface with creative adjustments. 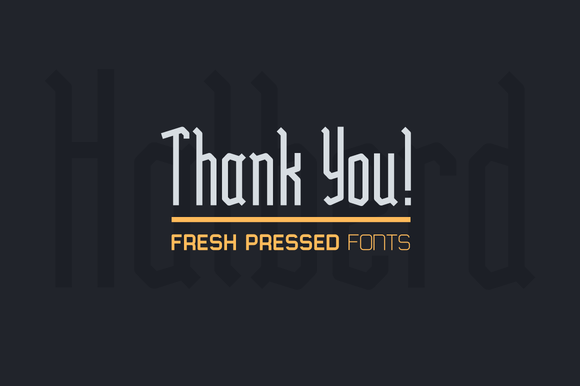 Halberd brings a modern look to the classic, elegant and vintage feel of blackletter fonts. 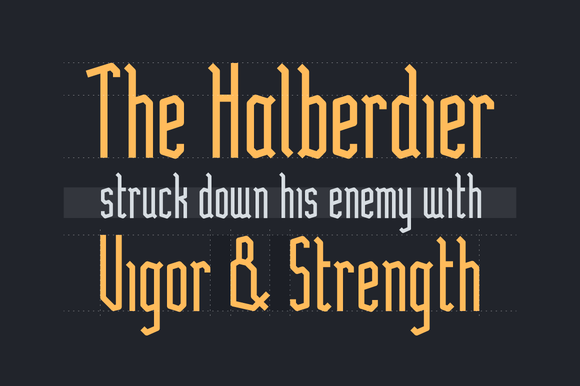 With unique uppercase, lowercase, international language support, and plenty of supporting glyphs, Halberd can be used in posters, packaging, flyers, signage, logos and much more!